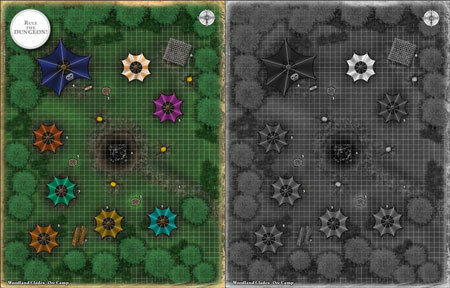 Four gorgeous maps for you to enhance your wilderness encounters. 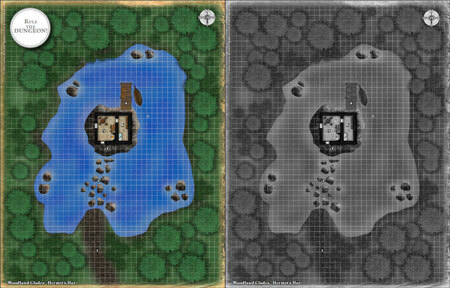 Set your deadly traps in the orcs' encampment, place your spectral undead in the ruined manor, challenge your players with the enigmatic lake hermit or let them face the cultists in the monolith glade. This product provides you with four lush woodland locations ..